Critical Exposure trains young people to use photography and advocacy to create change in their schools and communities. The organization, based in DC, but working in other cities as well, is nearing its 10th anniversary. Felicia Ramos, DC Program Manager, describes the program’s history of helping youth who usually go unheard and unseen in the system develop photography as a tool for communicating their reality and advocating for their needs. Delonte Williams tells the Education Town Hall how Critical Exposure helped him, as a high school student, find his voice and understand the power of images. Now on staff, he helps run a campaign on the school-to-prison-pipeline. Visit CriticalExposure‘s website to learn about its on-going campaign on police presence in schools, about the Fellows program — open house for new candidates Feb 18! — and other activities. Through campaigns and visual storytelling, students learn tools to express themselves, creative approaches to old problems, and advocacy skills. Critical Exposure (CE) works through partnerships with Washington DC high school and afterschool programs. CE helps students raise their voices in conversations about education policies and build the public support and political to address the issues they face. Since the organization’s founding in 2004, CE has helped students secure over $500 million in additional funds and push for crucial improvements in their schools. 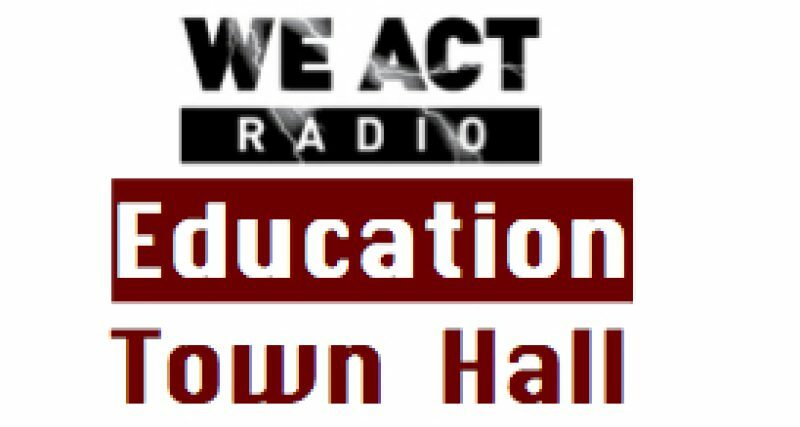 Also on the January 29 Education Town Hall: Greta Fuller, candidate for DC’s Ward 8 City Council seat. Delonte Williams is a D.C. native who is very interested in creating social change and making sure that the people in his community know the history of why things are the way they are. Delonte was a member of our Fellowship program from 2012-2014 and is the first Fellow to join our staff. As a member of the program team Delonte coordinates and facilitates our in-School and in-house programs. Felicia Ramos hails from Chicago with an extensive background in advocacy, youth development, and program design. Felicia’s experience working within Chicago’s school and housing systems, as well as for non-profit agencies here in D.C. has expanded her capacity to support and empower marginalized young people. Through her work in Chicago’s nonprofit field, Felicia revamped and facilitated teen dating violence prevention workshops and forums for over 1,000 high school students. As the Program Director for the Chicago Public Schools’ (CPS) Groundbreakers, she had the unique opportunity to partner with 30 high school students to plan and build over 30 new playgrounds each year. As the DC Program Felicia works with the Program team to support the development of our young people’s capacities to advocate for themselves.